How easy is it for you to log every accident – or near miss – that occurs in day-to-day operations? Office worker falls, injuries incurred whilst operating machinery, road accidents within your distribution network, near misses when handling hazardous materials… accidents can happen, or almost happen in any business, irrespective of the industry you operate in. It is a legal requirement to accurately document every accident, incident or concern, but chances are the manual process of logging each occurrence – major or minor – is time-consuming, inaccurate and adds to the admin’ burden. Accidents and incidents cost time, cause delays and may result in individual claims. And if not accurately reported, accidents are more likely to happen again. ARM SNAPPit mobile incident management makes it secure, speedy and easy to report any accident, injury or incident on any device, at any time, from anywhere. GPS location tracker – to accurately record the location of an incident, concern or observation using the GPS location of the mobile device. If offline, select before the upload to ARM to record additional location information (eg the floor of the building). Use ARM’s powerful reporting module RPM to create maps of incident occurrences using GPS locations. ARM secure registrations – enabling you to control who uploads information from SNAPPit and bring new users on board as required. 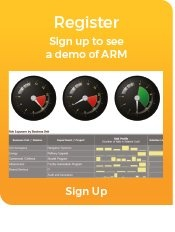 Approved users will receive a secure link to register the App with your ARM system, before uploading captured data. Real-time alerts – integrated with ARM’s powerful alerting engine, to enable your business to be respond quickly, trigger investigations and processes without delay, collect the correct evidence and help reduce the risk of re-occurrence. Configured to your workplace – ARM SNAPPit can be configured to use your specific terminology, to log injury or incident types for your working environment, or to report concerns for your office based staff. Sophisticated analysis – by feeding directly into ARM’s sophisticated analysis engine, data captured from different sites or projects across the organisation is rolled up to provide business critical information, including stats on the number of injuries incurred over a given time, outstanding follow-up actions or investigations underway. Linked data within ARM – incident data may be linked to other key processes within ARM, such as potential risks that are identified as a result of an accident report, or an additional audit that is required due to an increasing prevalence of incidents reported at a particular site. SAR SNAPPit is available for ARM 9 and ARM 10 installations. "Active Risk Manager is fundamental to our global enterprise risk management programme. It enables us to extrapolate data quickly and efficiently from all parts of our organization wherever they are located. Most importantly, we can now trust that data to be relevant and reliable."